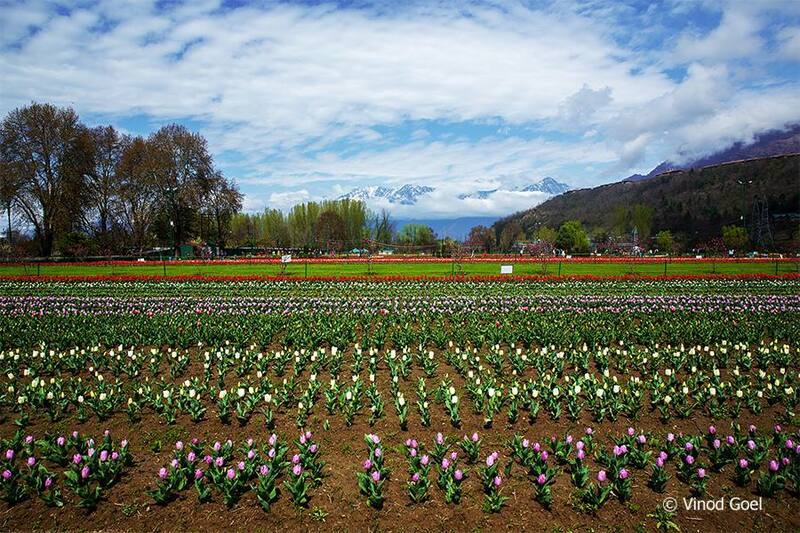 The latest star attraction of India at Srinagar is the Tulip Garden . 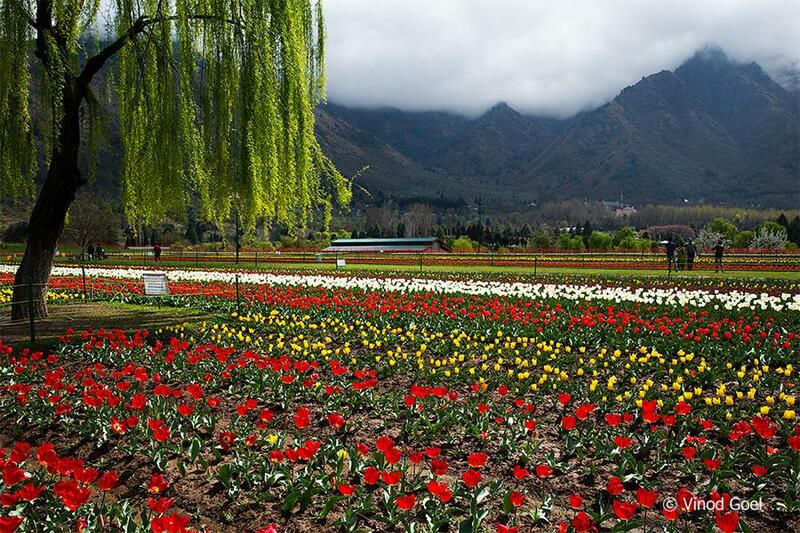 It is the largest tulip garden in Asia spread over an area of 12 hectares. It is situated on the foothills of Zabarwan range. 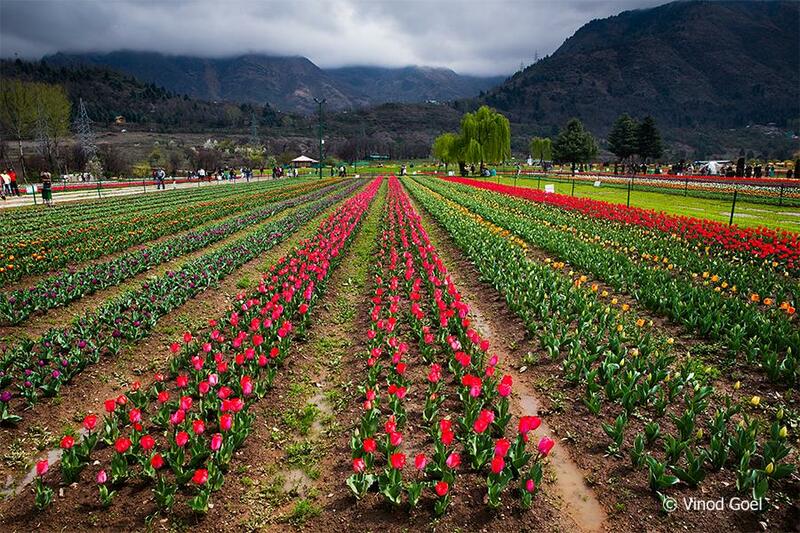 It was opened in the year 2007 based on the Tulip garden at Holland with an aim to boost floriculture and tourism in the Kashmir valley. I have been waiting for a long time to see this unique garden. Generally this is opened for the public in the 1st or 2nd week of April as by that time tulip flowers are at the fullest bloom. However, during 2016 on account of earlier spring season, most of the flowers bloomed by the end of second week of March and the concerned authorities were forced to open the park from 15th March itself. What a gift to us! We never thought of seeing the tulip flowers during our visit. It was a God’s gift to us. I remained in the garden for more than 2 hours on 25th March and tried to capture its beauty in my camera from all possible angles which I could think of. 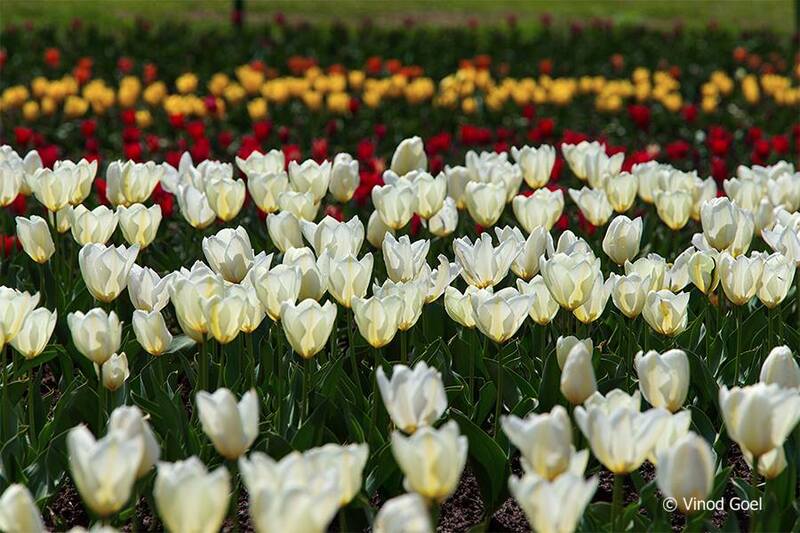 It has about 1.5 million tulips of 70 varieties. I was told that the flowers remain in bloom for only 15 days. The flowers were in varied shape, some hemispherical, others elongated, many scattered petals or simply buds who were waiting to entice the viewers with their charm and vibrant colors. Each variety is grown in a flower bed which is about I meter wide and 80 meter long. One has to see one self the beauty of flowers in the backdrop of hills, to believe it. People who have seen the song DEKHA EK KHWAB TO YE GUL KHILE HUYE in SILSILA Movie may recall the beauty of tulip flowers. 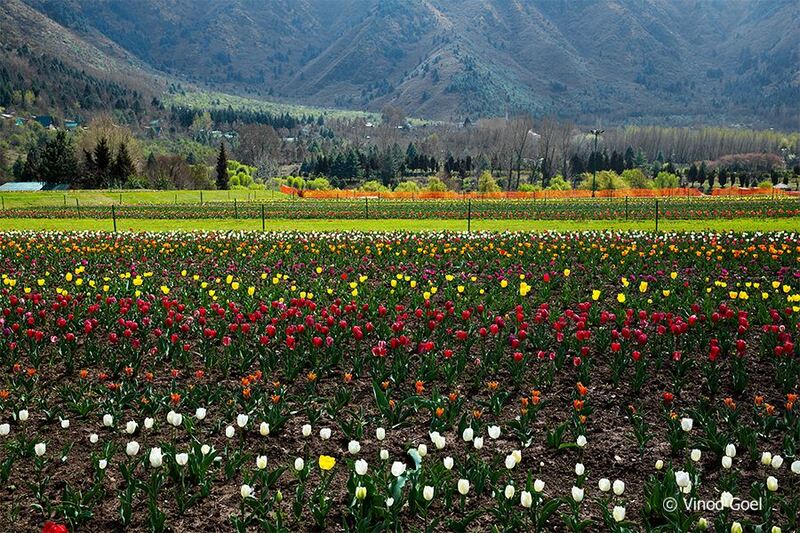 Again this year J&K Tourism has publicized that the Tulip Garden would be open from 25th March 2018.One can go and see to believe in the beauty of Tulip. 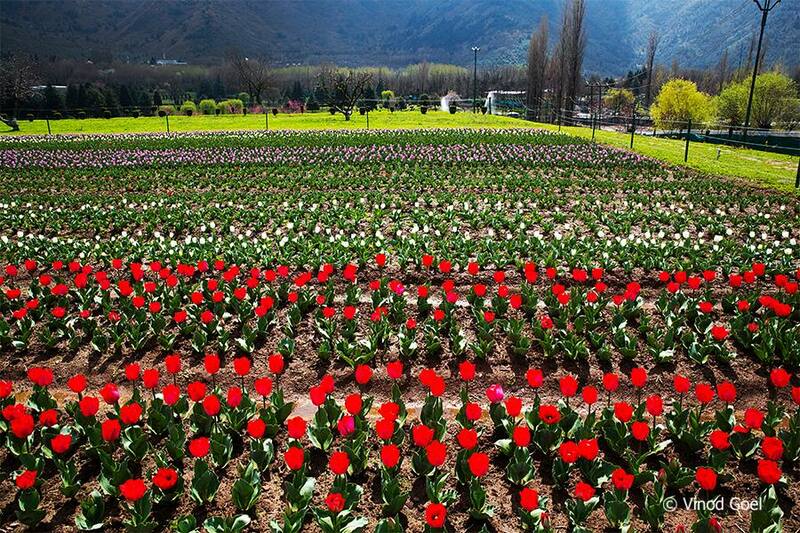 Srinagar is truly a paradise on earth. We are blessed to have it.